The American petroleum institute specifications API 5L X52 PSL-1 Pipe include the welded as well as the seamless pipeline. This pipe is made from steel and used mostly for pipeline transportation systems in both natural gas and petroleum industries. The pipe is considered suitable and fit for water, oil as well as conveying gas. The range of its size is fixed by designer's capabilities. All the specifications for APL 5L pipes stick to the national and international organization for Standardization ISO. This standardizes transportation systems of pipelines within the equipment, materials and offshore outlines for petrochemical, natural gas, and petroleum industries. A technical committee is authoring the standards identified that there are mainly two basic products specifications levels of technical needs. And that is why PSL 1 and PSL 2 designed. PSL-1 is the trust of many people for many years because it is made using standard and premium quality of raw material. The product contains all the significant properties such as mechanical and chemical. When it is designed requires an appropriate testing in the authorized by government laboratories. We are helping you by supplying API 5L X52 PSL-1 Pipe to fulfill the needs of your industries. 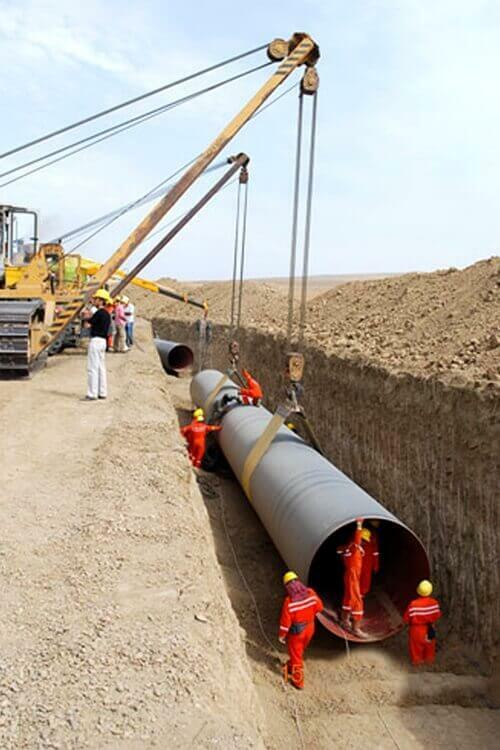 These pipes are used on a regular basis and have been divided into two standard grades A and B along with grade X. This 'X' grade indicates several powerful variants for harsher atmospheres, deep well, offshore, drilling, transport, and production needs etc. Longitudinally welded pipes are utilized in offshore and onshore gas pipeline needs tight tolerances, critical service, and high temperature. API 5L L360 PSL-1 Steel Welded Pipe and Tube, 3LPE/3LPP/2LPE/2LPP Coating API 5L X52 PSL-1 Welded Pipe Stockist in India, Welded API 5L X52 PSL-1 Line Pipe, API 5L X52 PSL-1 ERW Pipes, API 5L X52 PSL-1 Submerged Arc Welded Pipes, Standard Size API 5L X52 PSL-1 Welded SAW Pipes Supplier, API 5L Gr X52 PSL-1 Welded Line Pipe Exporter, Carbon Steel API 5L X52 PSL-1 Pipes, API 5L L360 PSL 1 Longitudinal Welded Pipe, API 5L X52 PSL1 DSAW Pipe, API 5L X52 PSL 1 Spiral Welded Pipe, API 5L X52 PSL 1 SAW Pipe Stockholder, API 5L Grade X52 PSL1 LSAW Pipe, 2FBE/FBE Coated API 5L X52 PSL 1 Welded SAW Pipe, CS API 5L X52 PSL-1 SSAW Pipe, API 5L X52 PSL-1 HSAW Pipe.